Hey you! Looking for a drama-thriller to binge? Well, You might be perfect. Ahhh the power of Netflix and word of mouth. If you haven’t noticed already, Netflix’ You is what 90% of your friends have been raving about in Facebook, Twitter and Instagram… and I absolutely understand why. 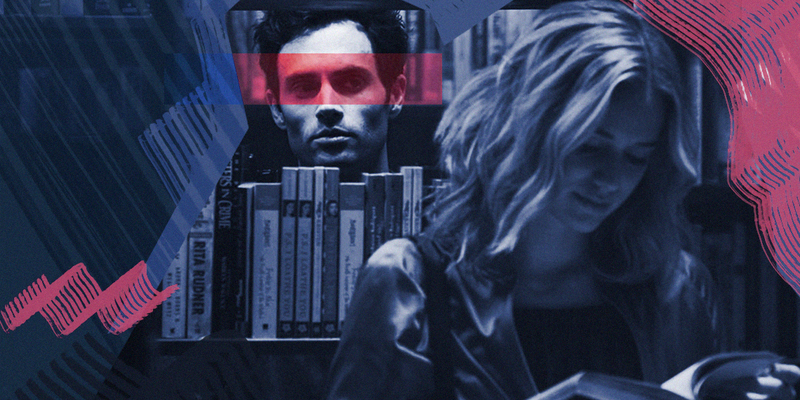 When bookstore manager Joe Goldberg (Penn Badgley) meets aspiring writer Guinevere Beck (Elizabeth Lail) at his book store, it was “love” at first sight. This seemingly innocent crush quickly turns sinister as he becomes obsessed with her and destroys anything or anyone that stands in his way of ending up together. As much as I want to get into the details of Joe’s disturbing behavior, I’ll spare you the spoilers because I really do want you to watch the show and discover why it’s getting the buzz that it deserves. You delivers a grimming thrill upon watching it – it pushes you to keep wanting more. I can assure you that there’s always something happening in every episode that will make you want to watch the whole series in one seating. Like how Joe feels about Beck, the show itself becomes addicting. Almost all the characters are practically insane and incredibly flawed in their own ways. You’re aware that Joe is the creepy villain however you just can’t seem to be annoyed at all the characters surrounding him (well… except for Ethan, Joe’s bookstore co-worker). In some level, I am convinced that Penn Badley’s performace drives the whole show. I have to admit, I missed seeing Penn on screen. For the longest time, I’ve been the biggest Gossip Girl fan (I honestly started the show when I was in 5th grade and remember being glued to the TV every tuesdays at 8pm). And as for any gossip girl fan out there, you’d know that the show would be NOTHING without Dan Humphrey. But although Dan Humphrey and Joe Goldberg may be alike in few cunning ways, Penn’s performance in the Netflix series is at another level. Penn Badgley adds a charming dimension into his troubled character. This is why you’re suspended wanting to know his next moves. Disturbing as it is, I see how some audiences may seem to root for Joe (i’m looking at you Milli Bobbie Brown) – he’s a romantic. The show follows but also makes fun of the usual rom-com thropes: girl meets boy at a bookstore, the girl is a writer who wants to make it big in New York City, the girl also has daddy issues and the boy announces his love in the girl’s doorstep. Joe seems like the “dream guy” who would sweep you out of your feet… until he fucks you over. The series let’s you into the mind of a sick killer – a psychopath who believes that he could save a naive girl. He then rationalizes his vile behavior in the name of love. The show teaches us a lesson and reminds us how today’s insta-generation can be utterly superficial which then can make anyone vulnerable and easy targets. Previous Vampire Weekend is back and are you ready for it?